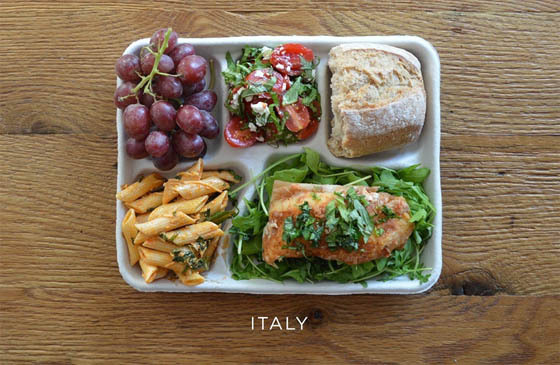 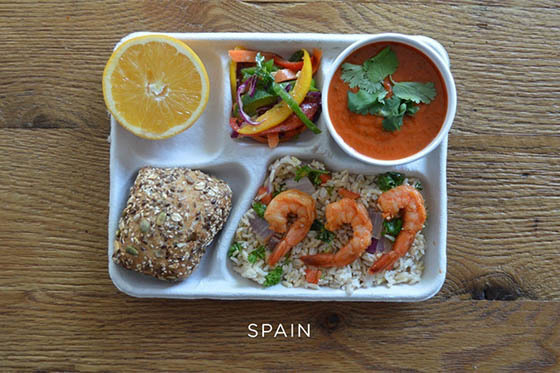 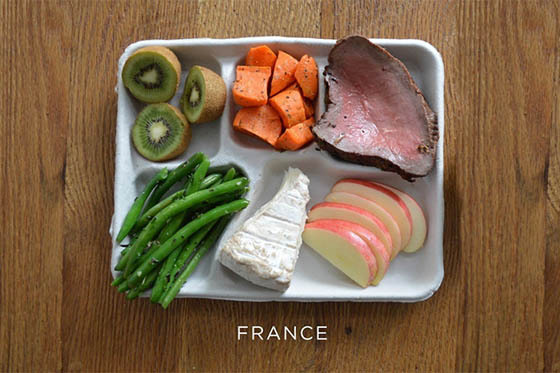 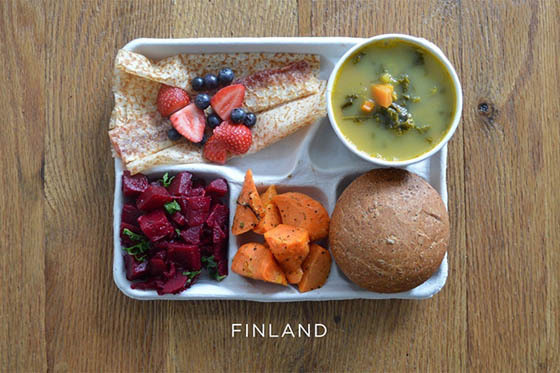 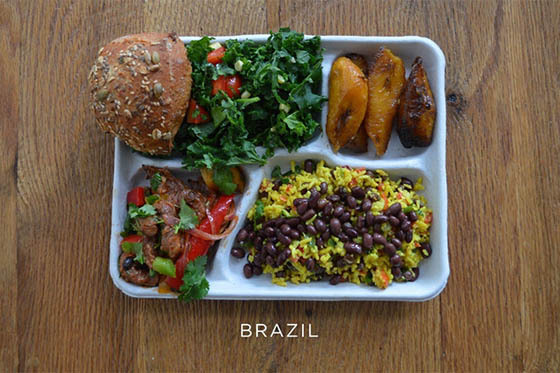 Sweetgreen, an American organisation informing people on healthy food conducted a study recently on “What school lunch looks like around the world”. 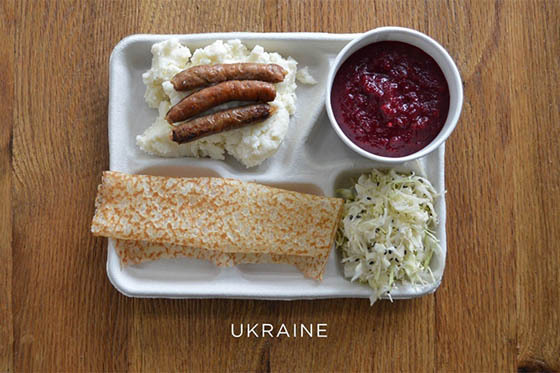 They studied its country location, ingredients that provides and the traditions of each country and created a wonderful photo-book. 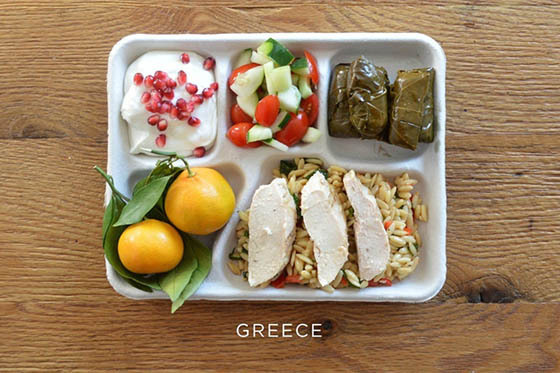 Of course, lunch meals vary day to day and from school to school. 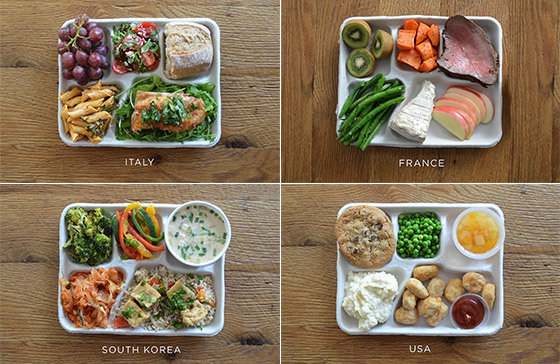 To average that, Sweetgreen studied various government initiatives, food programs, and nutritional policies and matched them with photos of school meals that students had shared on social media, recreating them in a studio to come up with what an “average” meal looks like. 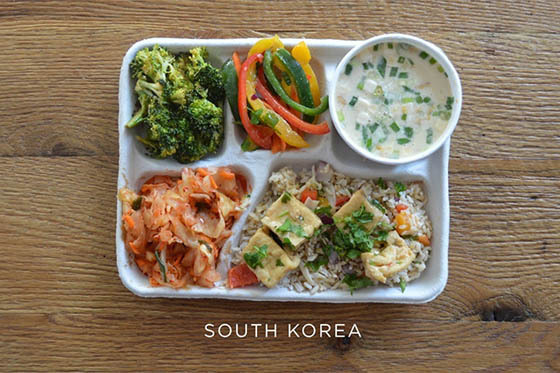 From Finland to Greece and from Brazil to South Korea, you can see those meals with each country’s own characters. 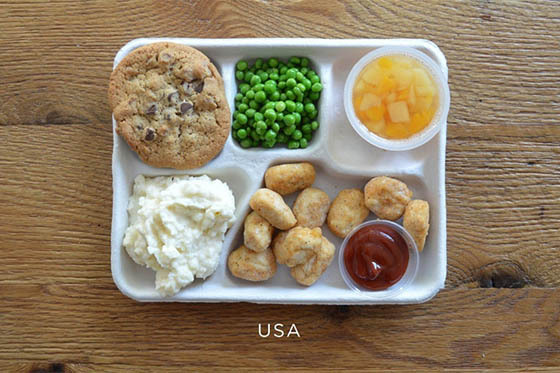 It looks like US is pretty behind at this field.